Down the Old Badge, we have been blind drunk testing for many months now. 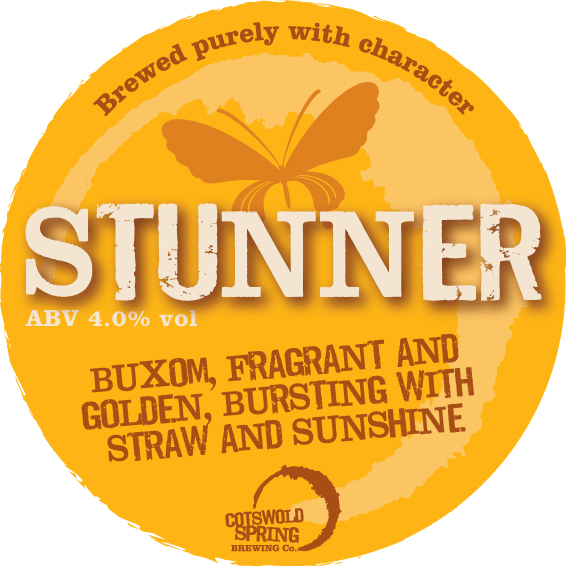 And this month the winner for those of us who do not require strength for flavour, is Cotswold Spring’s Stunner. At just 4% this is an award-winning session ale: a pale yellow beauty with lots of malt and fruit and that down-a-pint-in-one creaminess. 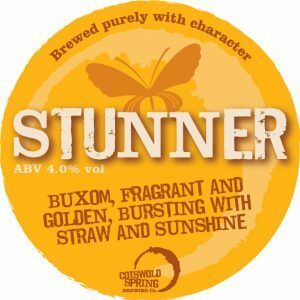 It might be Cotswold Spring’s buxom best. However, as an ESB hophead, Max would probably prefer their 8.5% ABV Trappist-style beer called “Walloonatic”. Those Belgians had to be good for something.